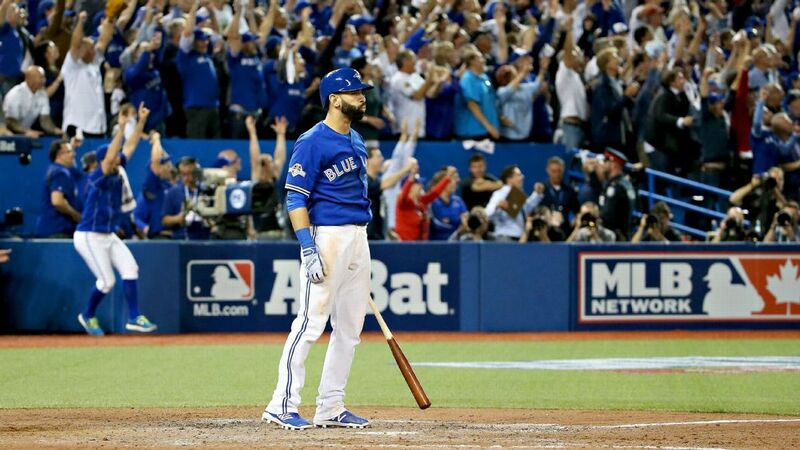 I hope you have two minutes to watch the Jose Bautista highlight (full sound needed). His homerun last night is now in my Top Ten Baseball Moments of All-Time. The sheer emotion of an entire nation that has been baseball-starved, mired in a (22-year!!!!) playoff drought culminated with that monstrous homerun and unprecedented glare/bat flip. I am not a bat flip monger, but this one was raw, unadulterated and completely appropriate. Listen to that crowd. That was a wholly cathartic release of emotion for a deserving city, and a franchise that has been maligned for the greater part of two decades. Really awesome. Also, here’s a beautiful pictorial breakdown from Patrick Dorsey of ESPN and this is the takeaway image, the ‘Moment’ after the Moment. Pretty awesome stuff. . .and these playoffs are just beginning.